£10 off all orders in October! Get £10 off in October by using “BEES” voucher code at checkout… brand new 2015 stock, first come first served! Brite Briquettes now available from Burning Blocks at £250 inc delivery within England and Wales while stocks last. 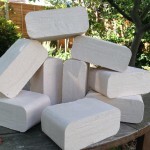 Phil Rymer Firewood are a small family based firm selling well seasoned hard and softwood logs, kindling and now briquettes in South Glos they can supply large or small quantities of burning blocks to customers. Call 07759442619 or email phil.elcombe@btinternet.com for a quote. UK Manufactured Bee Kind Briquettes are made from the residual wood used in creating high quality bee hives making them carbon netrual. Burning Blocks welcome Maisemore Apiaries as their partner for providing high quality, yet value for money round briquettes. We both look forward to supplying the UK heating market with cosy cost effective heat!!! Locally sourced quality round briquettes, now complement the Burning Blocks range, click the “Round Briquette” page for more details. 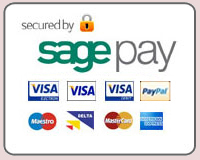 £270 inc delivery (England and Wales) and VAT!!! New stocks have arrived, we are ready for the new season and another year of making families (just like ours) cosy and safe while burning quality briquettes! Burning Blocks welcome a new stockist in Somerset, AOK Biofuels aim to provide Burning Blocks briquettes with great service to their local rural and surrounding areas to Yeovil, we wish AOK every success.